« #standtogether for International #Diabetes Awareness Month? I met a nice man last night…and I need YOUR help! We chatted on twitter until well after midnight (my time) – I have no idea what time it was for him in Chicago. Goes to show that we see something someone writes on social media, and we form a conclusion about someone (in my case that this man was worth speaking with until the small wee hours) without knowing some pretty fundamental basics about their circumstances. In this case I literally didn’t even know the time of day! So to start this morning’s blog I need to warn you that I’m going to air what might be a touchy subject. I’m sitting quietly and comfortably with a nice cup of green tea (my morning treat) while I write, with the sole intention to help people with diabetes. People with Type 1 or Type 2 diabetes. And the way I help is by offering nutritional advice. I’m not diabetic. Nonetheless I’m on a mission to help people who are. Most of the time that seems to be OK. But at others I am apparently viewed as worse than the very devil himself. In the eyes of some. Mainly – well OK then, ALWAYS – in the eyes of someone with Type 1 diabetes. And I reckon at the start of our chat, the nice man himself probably had a Halloweenesque mental image of me with red eyes and carrying a trident! And it went from there. The gist was why is it so often assumed that when someone offers help some Type 1 folks spring into defense mode and need to ask that question (or worse)? Luckily I’m not easily put off, and I usually try to engage in a reasonable conversation. Most of the time that goes well. ME: Bathing in the warm glow of a pat on the back. In the spirit of #standtogether for diabetes awareness can I make a plea? Can we all understand that whilst there are “scams and bad initiatives out there” some of us are genuinely helping. 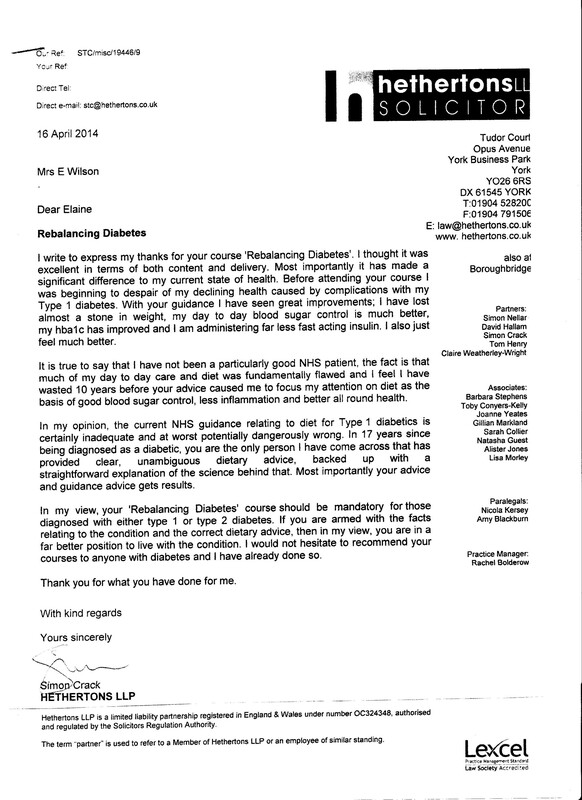 THIS is a great example of why I will continue to offer help to people with Type 1. OK so maybe the person I can help isn’t YOU. Maybe the person I can help isn’t as informed as you, hasn’t had the good information you’ve already received, and maybe hasn’t got their act as sorted as you. You not needing my help doesn’t make me a scam merchant. It doesn’t make mine a bad initiative. You not needing my help simply means you don’t need my help. And that’s fine by me, I couldn’t be happier to know you’re doing OK. But I DO need YOUR help please. I need you to advise how I can offer help into the wider Type 1 community without making you feel prickly? Some of the stuff I share on social media might not always be to your personal tastes, and I will still share it because it probably meets the needs of someone else. I never say I can cure diabetes (of either type), I never say I can reverse diabetes (of either type), I never even say I treat diabetes (of either type). I only accurately reflect what I do, which is to give nutritional and lifestyle advice to people living with diabetes. I don’t differentiate which type because I genuinely work with people living with both types. I occasionally share some of the great results my clients get through their own efforts to change their diets and lifestyle. And I post a wide range of stuff that I find interesting, and hope others might too. I’m inviting you to let me know how I can make it OK to do all that without offending you. I’d love to hear from you. Come on folks, help fill in more of the basic fundamentals I’m needing here. Let’s #standtogether for diabetes awareness. This entry was written by rebalancediabetes, posted on October 30, 2015 at 4:45 pm, filed under #standtogether, Diabetes Awareness and tagged diabetes, diet, Type 1 diabetes, Type 2 diabetes. Bookmark the permalink. Follow any comments here with the RSS feed for this post. Post a comment or leave a trackback: Trackback URL.